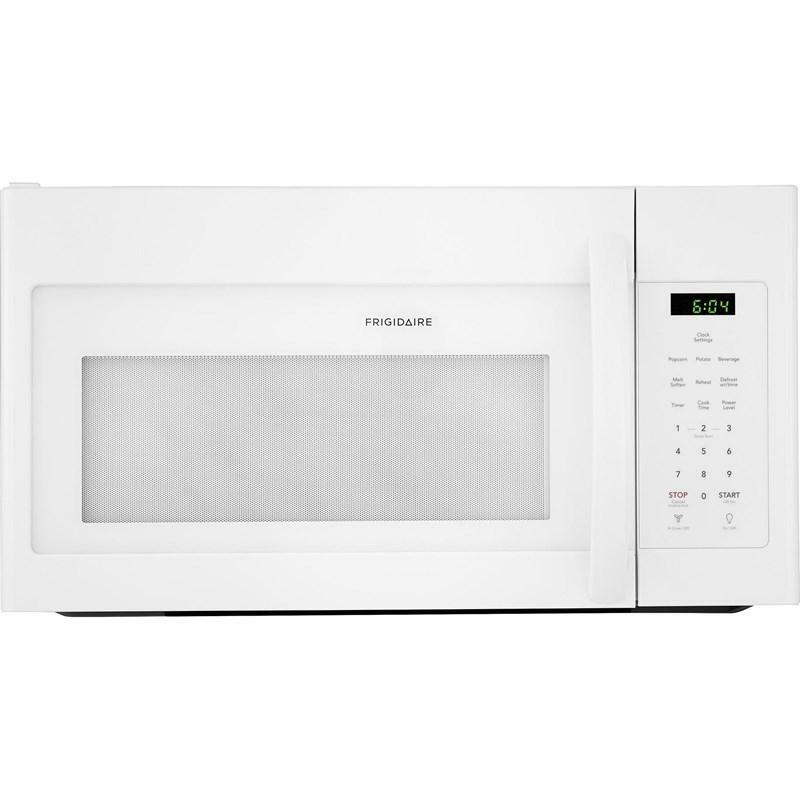 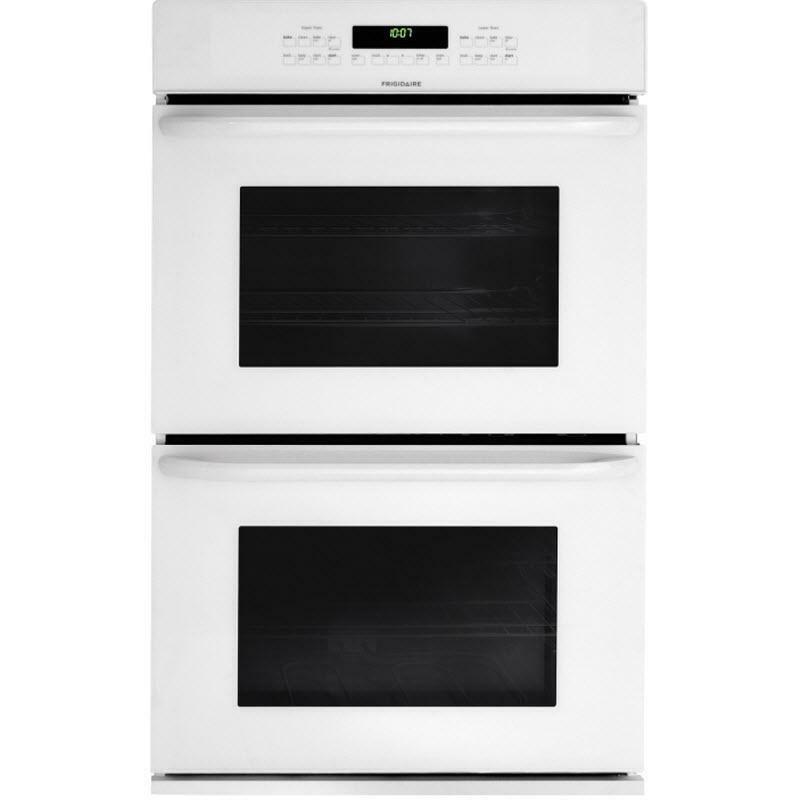 Frigidaire 30" double electric wall oven features even baking technology, large capacity oven, self-cleaning, bright lightning, built with american pride, oven rack handles and Ready-Select® controls. 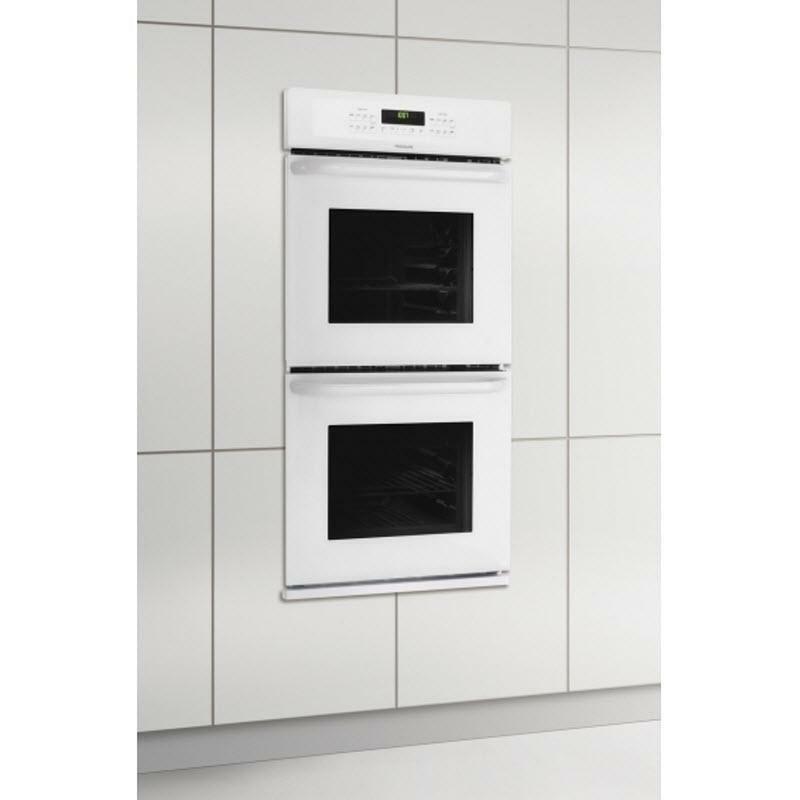 Additional Information Oven 1 type: upper; Oven 1 bake: 2,000W; Oven 1 baking system: true hidden bake; Oven 1 broil : 6 pass 3,400W; Oven 1 broiling system: broil variable; Oven 1 interior lighting: 1 halogen (round); Oven 1 rack configuration: 2 handle; Oven 1 interior color: slate blue; Oven 2 type: lower; Oven 2 bake: 2,000W; Oven 2 baking system: true hidden bake; Oven 2 broil: 6 pass 3,400W; Oven 2 broiling system: broil variable; Oven 2 interior lighting: 1 halogen (round); Oven 2 rack configuration: 2 handle; Oven 2 interior color: slate blue; Oven 2 cleaning system: self-clean; Oven window: large (both ovens); Bake; Keep warm; Preheat: integrated with bake; Self-clean: 2, 3, 4 hours; Interface: membrane; Start time: multiple functions (both ovens); Interior height: 17-1/2" (both ovens); Interior width: 24-1/8" (both ovens); Interior depth: 18-3/4" (both ovens); Sabbath mode (Star-K® certified); Agency approval: UL/CSA. 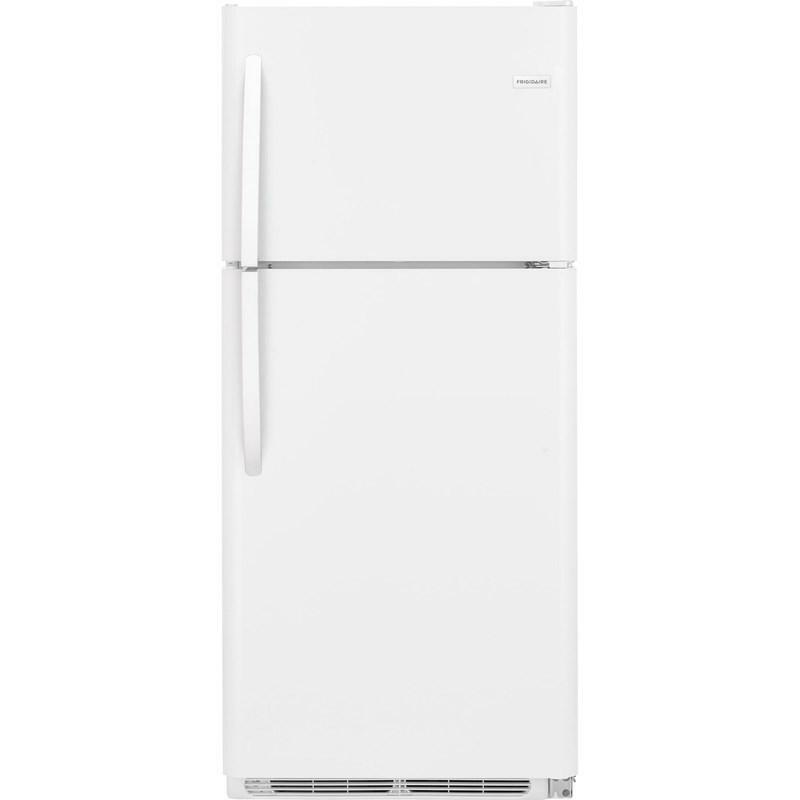 Additional Dimensions Depth (with door 90° open): 45-3/4"; Cut-out height: 48-7/8" - 49-7/8"; Cut-out width: 28-1/2" - 29"; Cut-out depth: 23-1/2". 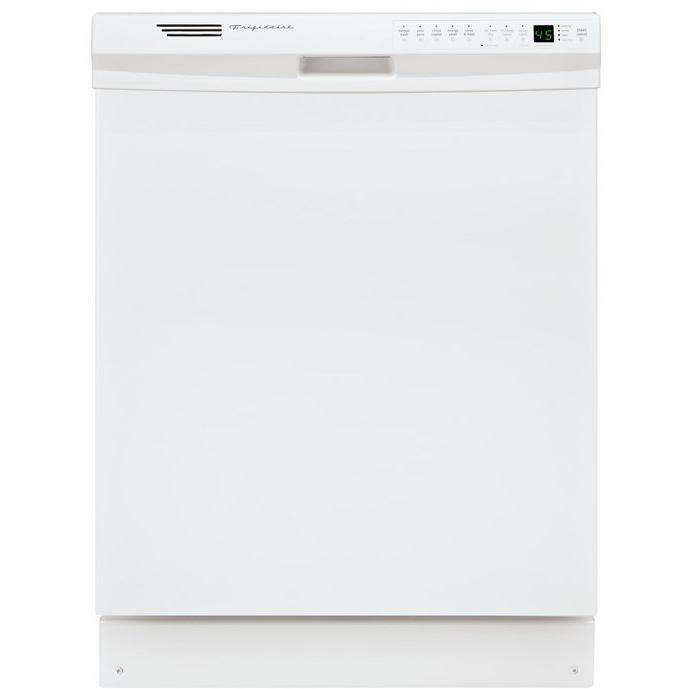 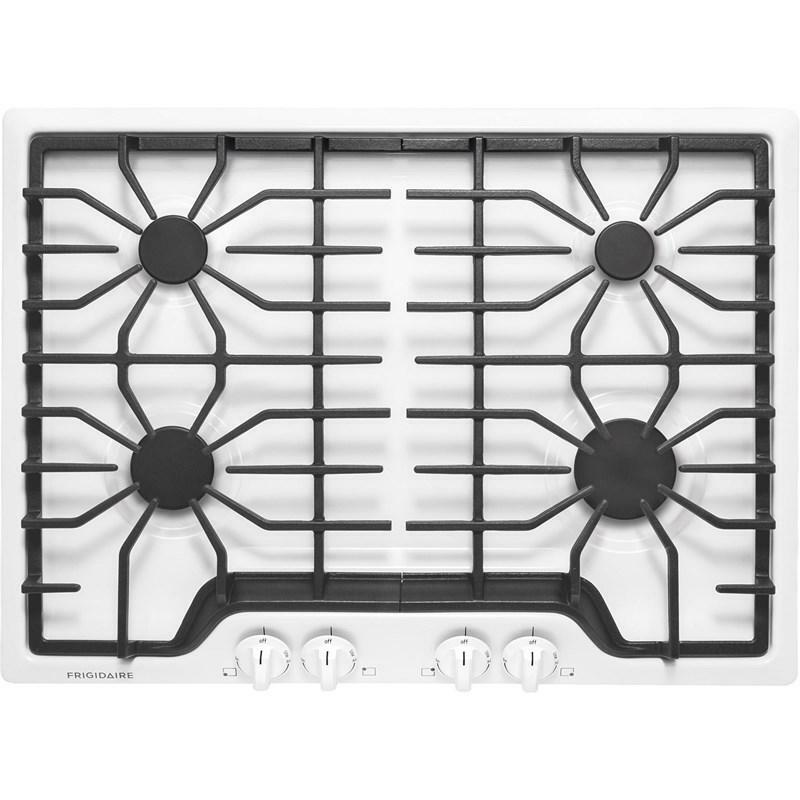 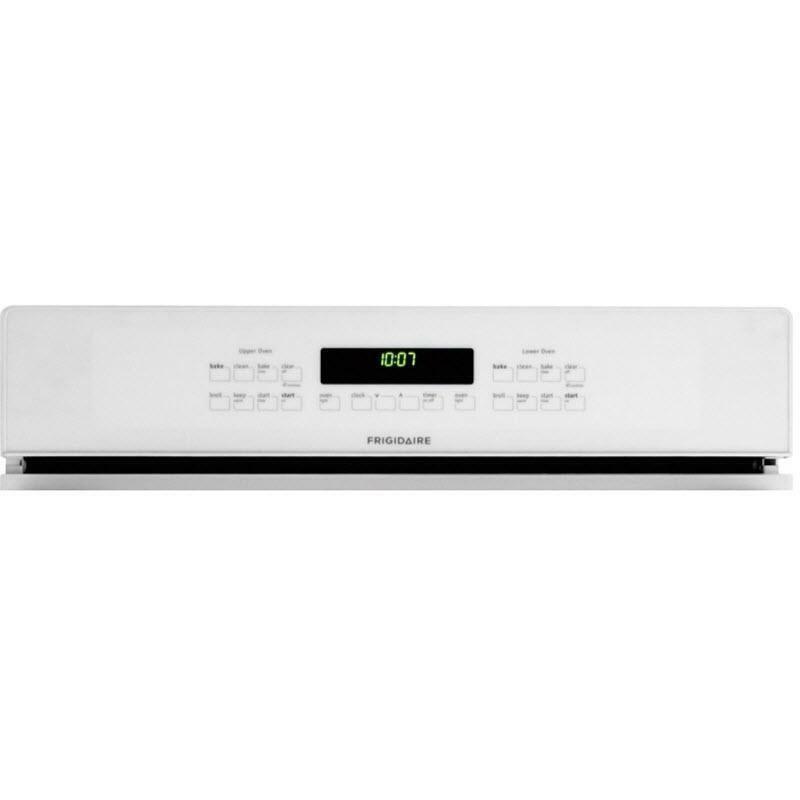 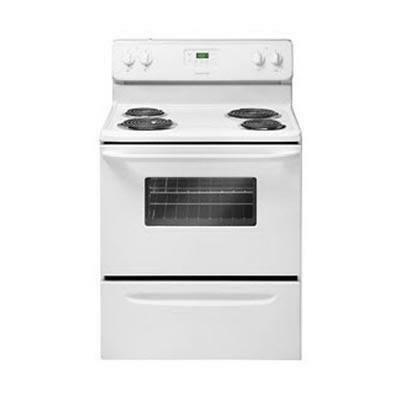 Frigidaire 30" freestanding electric range with 4.8 Cu. 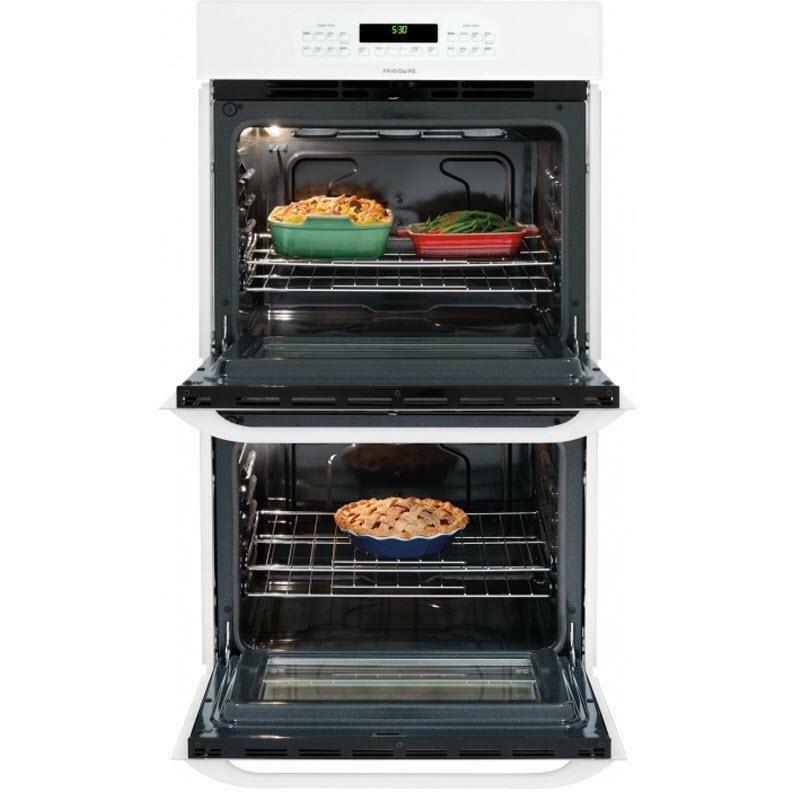 Ft. oven capacity features Ready-Select™ controls, Store-More™ storage drawer, electronic timer, Vari-Broil™ broiling system and much more.